With the Autumn Wolf Run ten weeks away, there hasn’t been a better time to start training. 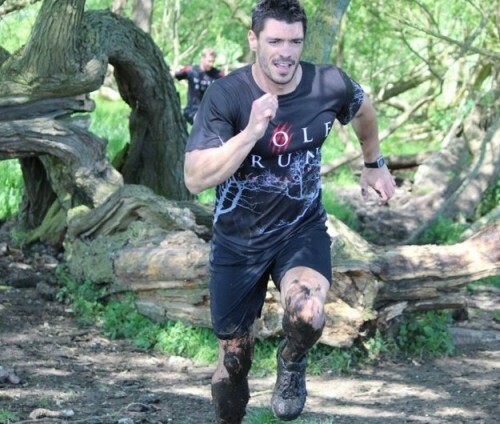 The Wolf Run’s Health and Fitness Expert, Mark Hoban, has compiled the perfect strength and running programme to ensure your training goes smoothly and you successfully attack the September 2015 Wolf Run course. Why does this training plan get you Wolf Run fit? There are many 10km run fitness programmes out there, but the Wolf Run is an obstacle course, and just being ‘run fit’ isn’t enough. You need an all over strength, flexibility and endurance. These plans – whether you are of beginner or intermediate fitness – will enable you to not only increase your running fitness, but also help you gain everything you need to tackle the obstacles out on course. What if this is all completely new to me and I’m starting from scratch? It’s so important that if you are starting this plan from scratch or if you have a pre-existing medical condition, you must consult your doctor before you undertake any new training programme. When you start any training programme it is so important that you listen to your body. You may have heard of DOMS – delayed onset muscle soreness that make your muscles feel like you have been run over by a truck – but it’s up to you to listen to how you are feeling and work through it (simply replace one training session listed with a walk to loosen up the muscles) or have a rest day and get back into training a day later after your muscles have had time to recover. This does not mean you shouldn’t challenge yourself and is not an excuse to put off a session if you are in a little discomfort. Feeling a little discomfort after training is perfectly normal and won’t last forever. It’s always more motivating to run outside and is a more natural approach in preparing for the Wolf run – in our opinion. You gain fresh air and also mixed terrain, which help your stability muscles or proprioceptors. If you can run on the grass in a park or on undulating terrain rather than the pavement you will better equip yourself for the Wolf Run course. What about nutrition and hydration? We will be posting some great advice from our partners at Clif Bar and triathlon athlete, Joel Enoch, over the coming couple of weeks. However, it is vital that you up your water in take to at least 8 glasses of water a day. Keeping hydrated is key. I’m unsure of some of the exercises – what do I do? 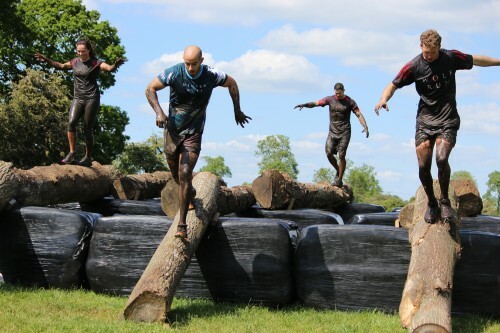 If you are stuck on how an exercise should be performed then ask a gym instructor or us – info@thewolfrun.com. Alternatively stay tuned on Twitter and our blog as we will be posting images and instructions over the coming weeks. A good stretch after a workout is really important and again we will be showing you what to do in the blog. After running you must stretch your quads, hamstrings, calves (gastrocnemius), ITB, Glute lower back and hip flexors. When performing the strength sessions you will need to stretch the muscles used. We’ll be posting detailed information on all of this next week.